Located in the Karinya Gardens Retirement Village, is this immaculate unit offering a low maintenance fuss free lifestyle, and only a couple of minutes to Lansell Square shopping plaza. Comprising one bedroom with a large built in robe, and an open plan kitchen, dining and lounge overlooking the front of the home. The light-filled kitchen is a great size with loads of cupboards, gas cooktop and electric oven, as well as a pantry. Other features include quality curtains, gas heating, split system cooling and ceiling fans. Storage in this unit is excellent with two good sized linen presses and a large laundry cupboard. A ramp leading from the laundry to the outdoor carport area makes it convenient for undercover access to the home. Outside is an easy care lot with a carport for 1 or 2 cars in tandem. Low maintenance garden and garden shed. 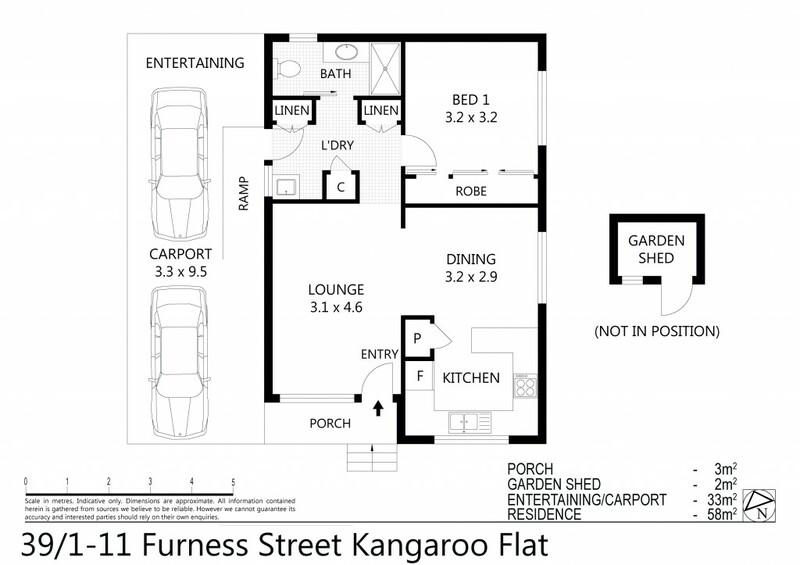 Only minutes to all Kangaroo Flat amenities, bus stop and more. This property is fuss-free living at its best! Call for an inspection today.